Ludacris also called, DJ Chris Lova Lova, is a popular hip-hop rapper who took the world by storm with his catchy lyrics, hooks and crazy style in the late 1990s and early 2000s. Though he started out as a radio host and presenter, he has described his move into music as the best decision of his life. He has also gone on to grace silver screens with his acting chops that it is almost surreal to believe that a hard-core rapper like himself could pull off such a feat. One of the biggest movies he has featured in till date happens to be the “Fast and Furious” franchise where he played the role of “Tej Parker.” There is more to Ludacris than meets the eye. Read on to discover them. Ludacris whose real name is Christopher Brian Bridges was born in Champaign, Illinois, on the 11th of September, 1977. Professionally known as “Ludacris,” he is a rapper, actor, O.A.P (On Air Personality), and founder of Disturbing tha Peace. His parents, Wayne Brian Bridges and Roberta Shields were African-Americans. He started rapping at the age of 9. According to him, he was kept on his toes to write more as his friends always wanted to hear new lyrics from him. He first attended Emerson Middle School and later he went to Oak Park. For his freshman year, he attended River Forest high school education. He and his family later moved to Atlanta, Georgia and it during this time that his father exposed him to even more genres of music ranging from hip-hop to rock. While in Georgia, he attended the Banneker High School after which he went on to graduate from the Georgia State University. He then thought of interning for a radio station where he could work and subsequently get the chance to have his songs aired with little efforts. This would prove to be a smart move later in his career as he successfully got an internship with an Atlanta radio station, Hot 97.5 FM, where he later became a DJ. Interestingly, he was just 18 years old at the time. He also made his first rapping debut on the ace Hip-Hop producer’s (Timberland) “Fat Rabbit” single while he still working with the radio station. In the year 2000, he released an independently recorded album which he named “Incognegro.” This album managed to feature on the Billboard 200 chart only through word of mouth alone. After this feat, he was thus signed to Def Jam South record label who repackaged the album and renamed it “Back for The First Time.” The album then charted number four in the Billboard 200. The album was certified triple platinum. Other albums released till date include; “Word of Mouf” (2001), “Chicken-N-Beer”(2003), “Release Therapy” (2006), “Theater of the Mind” (2008), “Battle of the Sexes” (2010), and most recently, “Ludaversal” in 2015. In all, his albums have gone between double and triple platinum. He has also won a total of three Grammy awards. The rapper reached another milestone when he was featured on “Hip-Hop Cash Kings” on the Forbes list. This was in 2014 the year when his estimated net worth stood at a whopping $8 million. According to Ludacris, acting was never on his mind because his primary focus was always music from the start. However, he describes his entrance into Hollywood and his current relevance in movies as nothing short of good luck. It’s no news that the very first Fast and Furious movie which was released in 2001, starred then sensational hip-hop rapper “Ja-Rule.” After the mild success of the movie, Ja-Rule got series of calls from the producers of the movie with a new contract for a second movie. The new offer involved an increased payment from the initial $12,000 to a whopping $500,000. However, Ja-Rule seldom picked the calls or simply had excuses such as a busy schedule or tour dates. In 2003, after efforts to reach Ja-Rule for a second movie proved abortive, the producer decided to contact another successful rap artist, Ludacris for the job. When Ludacris was contacted, he very excited to play the role. 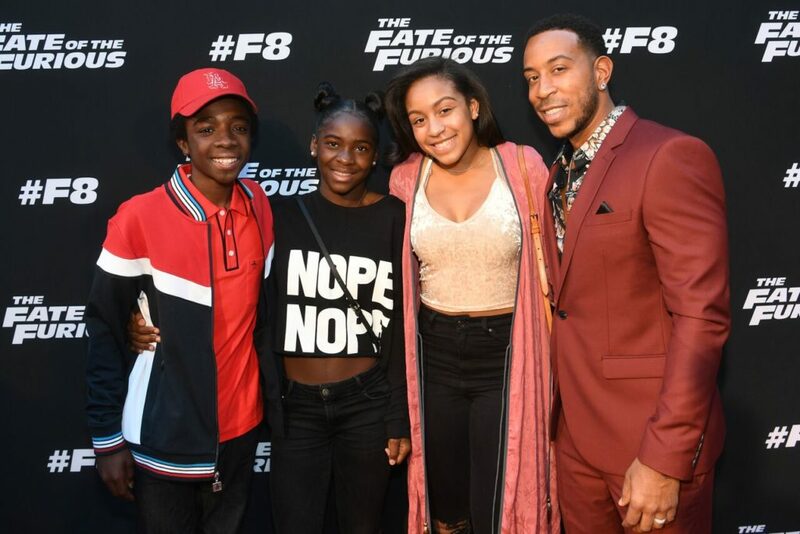 Today, long after his rap game has diminished, Ludacris, however, remains highly successful as the Fast and Furious franchise is currently heading to its 9th instalment. Other successful movies he has featured in include; Crash, Hustle & Flow, (both in 2005). Also, he starred in critically acclaimed holiday comedies such as Fred Claus (2007) and New Year’s Eve (2011). His works as an actor didn’t go unnoticed either as he received accolades such as Critic’s Choice, MTV, and Screen Actors Guild awards. Ludacris is no doubt one of the richest musicians in the world. Apart from being a breakout hip-hop rapper in the late 1990s (which raked in lots of money for the rapper), he managed to establish himself in movies which went on to become blockbusters around the world. Apart from money realized from record sales and acting, he goes on tours and is Master of Ceremony at different functions. He is also a smart businessman as he owns a restaurant called Chicken & Beer. In all, his culminated net worth is estimated to be over $31 million. Ludacris is a happily married man who tied the knot to his Gabonese beauty, Eudoxie Mbouguiengue, in Costa Rica on the 26th of December, 2014. Interestingly, though the pair had been dating several years before, the very day they were engaged was actually the same day they both got married…isn’t it wonderful? Before marrying Eudoxie, Ludacris was already a father to two beautiful girls from previous relationships with different women. Their names are Karma Bridges and Cai Bella Bridges. However, Ludacris and Eudoxie had their first daughter Cadence Gaelle Bridges in June 2015. So in total, Ludacris is the father of three lovely girls. You might have heard that Ludacris had a sister, however, this is not a fact at least it is not entirely true. It will interest you to know that Ludacris is the only child of his parents. Nevertheless, during his time as an intern at Hot 97.5 FM, he met La La Anthony, also known as Alani Vazquez. Lala is a television personality, New York Times best-selling author, businesswoman, producer and actress. Before either of them became popular celebrities, they both started out at the radio station, working their way up the ranks. They later went on to host a show together. Lala later started her own show called “Future Flavas” of which she hosted with Ludacris. Though the pair is not in any way related, however, Lala has said that she views Ludacris as her older brother. Right from his teenage years, Ludacris has always been a charmer. His light skin perfectly cut hair and swag made him an eye candy, especially to the ladies. One striking feature he has is his height. He stands at an impressive 5 feet 8 inches. This is considered quite tall for a man.